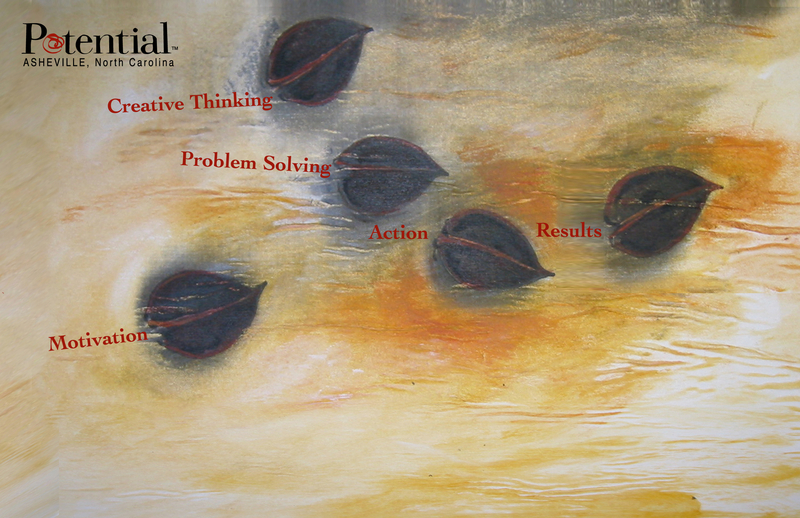 Kimberly Stimpson, owner of Potential, a company based in Asheville which serves to help individuals and businesses find their greatest potential through art therapy tools, wanted to create a large format promotional postcard to send to potential clients. 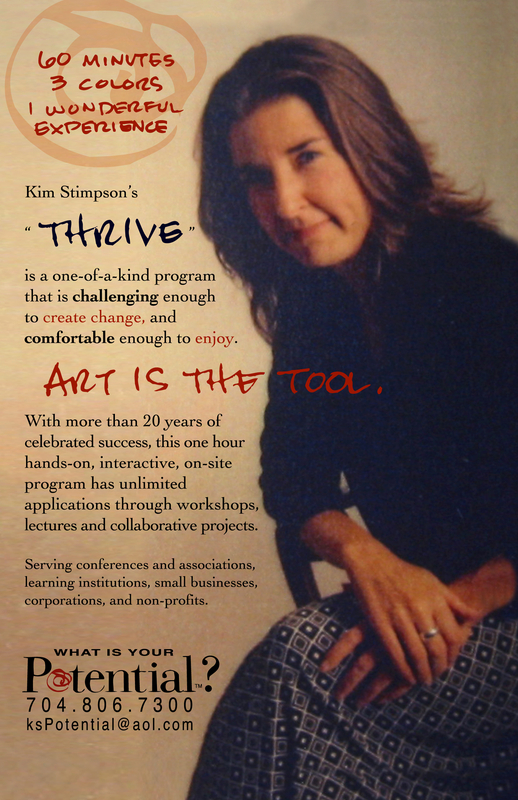 I utilized a piece of her own art as the front of the postcard, created a logo in collaboration with Kim, and wrote a large portion of the text on the back of the postcard next to a featured image of Kimberly. Completed May 2006.